Luxury holiday let in the English Lake District. 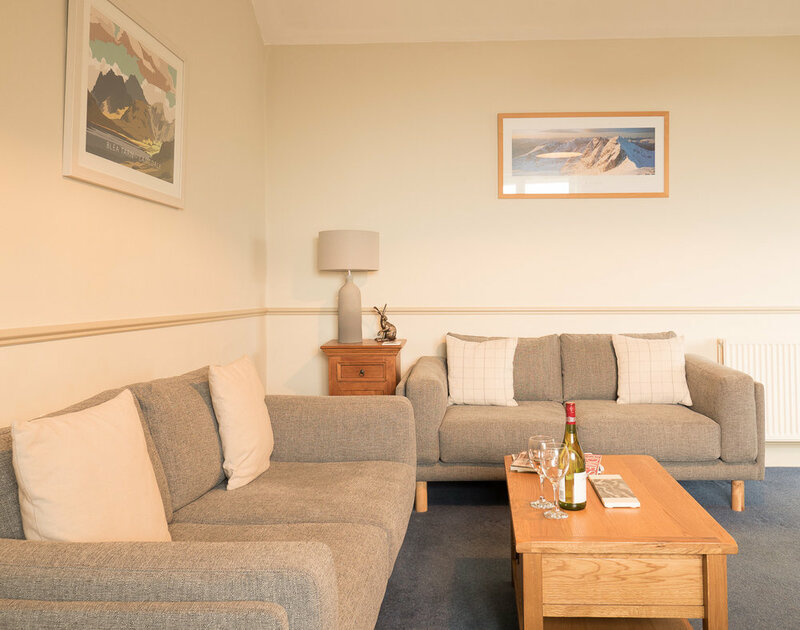 Top Garden Suite is a luxury 2 bed Lakeland holiday let self catering cottage apartment nestled in the heart of the English Lake District in the sleepy village of Far Sawrey. If peace and relaxation is what you are looking for, you have come to the right place. 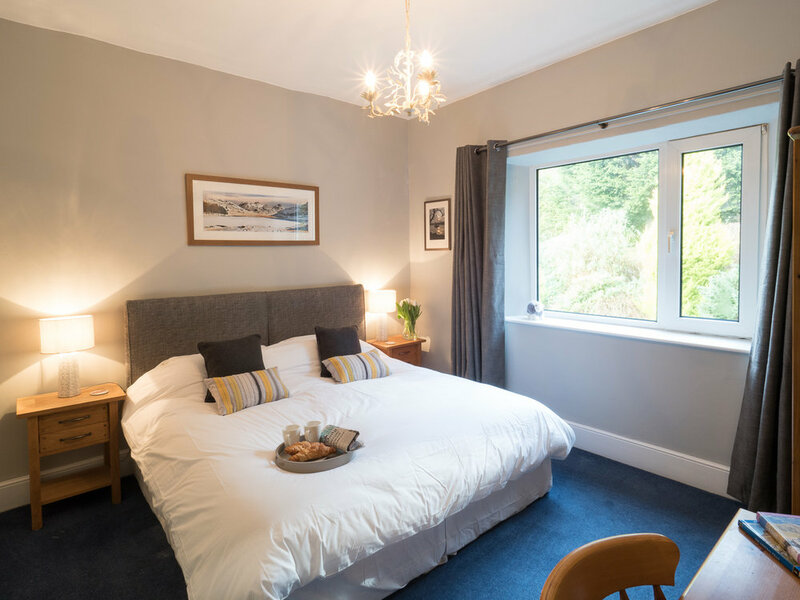 Enjoy a very quiet, peaceful and restful sleep in the newly refurbished bedrooms at Top Garden Suite. 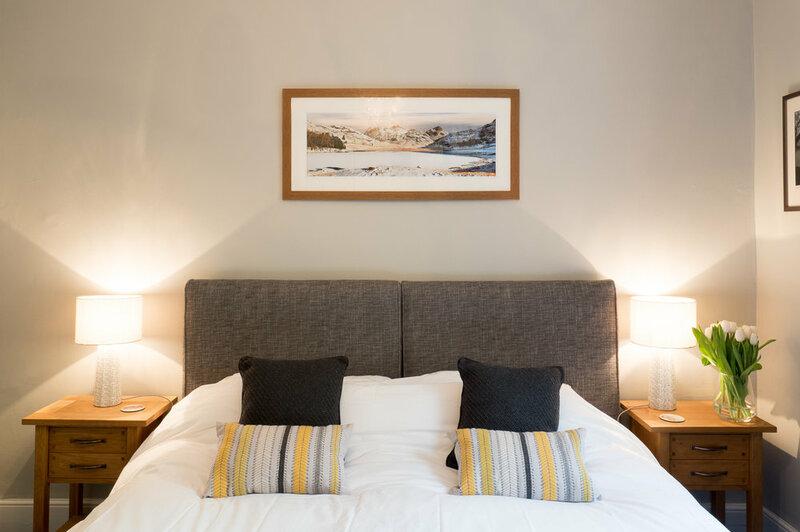 The rooms have all been recently refurbished with a full makeover with new fabrics & textiles bought either locally from the National Trust or from John Lewis & paints by Farrow & Ball throughout. All of the artwork used was purchased locally. 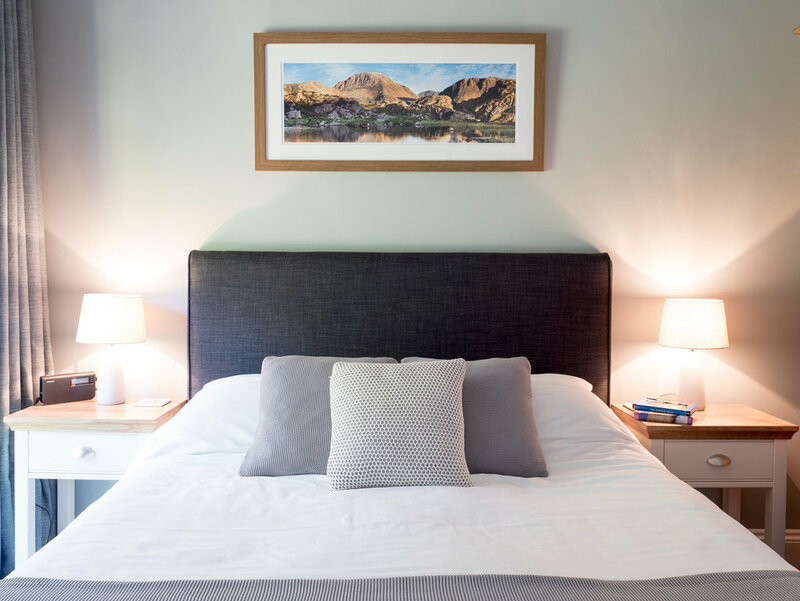 Top Garden Suite is quietly hidden in the heart of the English Lake District yet has superb activities right from the doorstep. This is the place to relax. 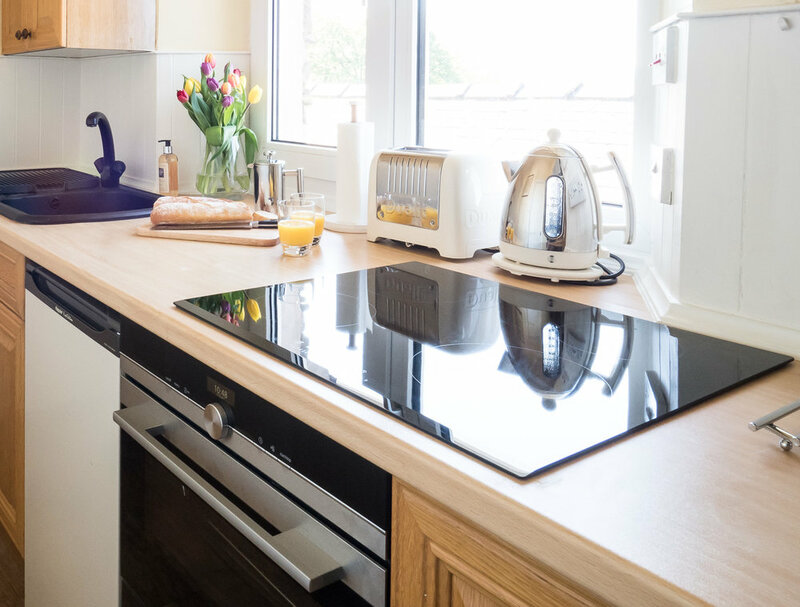 You can stroll from the front door to amble up on Claife Heights, or the start points for all of the major southern fells are all within a short drive. Cycling options are endless, and so (almost) is the Blu-Ray library. 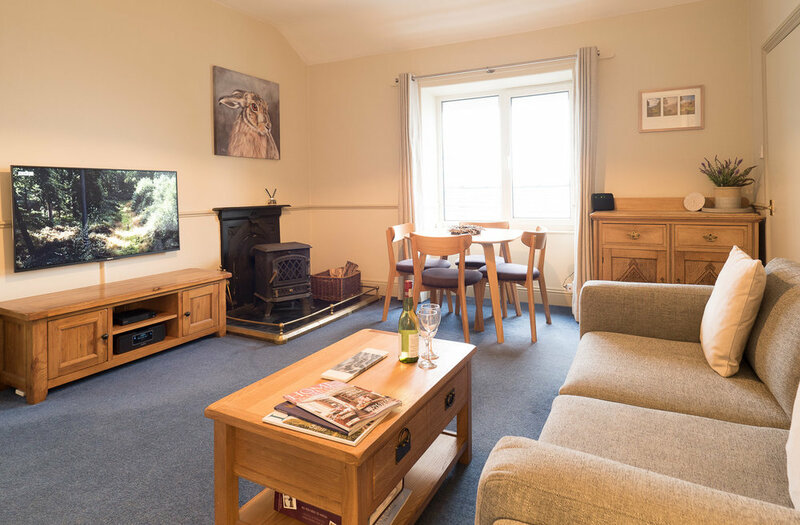 Relax in the spacious lounge and enjoy something from the blu ray collection or stroll, hike or cycle directly from the front door then get the wood burner going if the weather comes in. 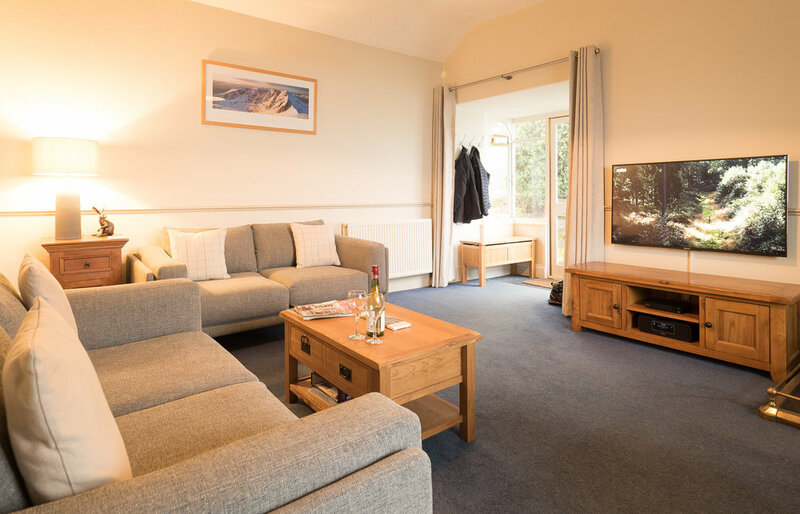 The lounge has comfortable seating for 4 and a fantastic 50" 4k UHD screen Smart TV, plus Fibre broadband so you can sign in to Netflix, Amazon, etc. There is also a wide selection of board games and puzzles and a log burning stove to create an atmosphere. The lounge has a 50" 4k Smart TV with Fibre Broadband for Netflix etc, plus a large Blu Ray & DVD Collection. Luxurious seating for 4 on new designer sofa’s. 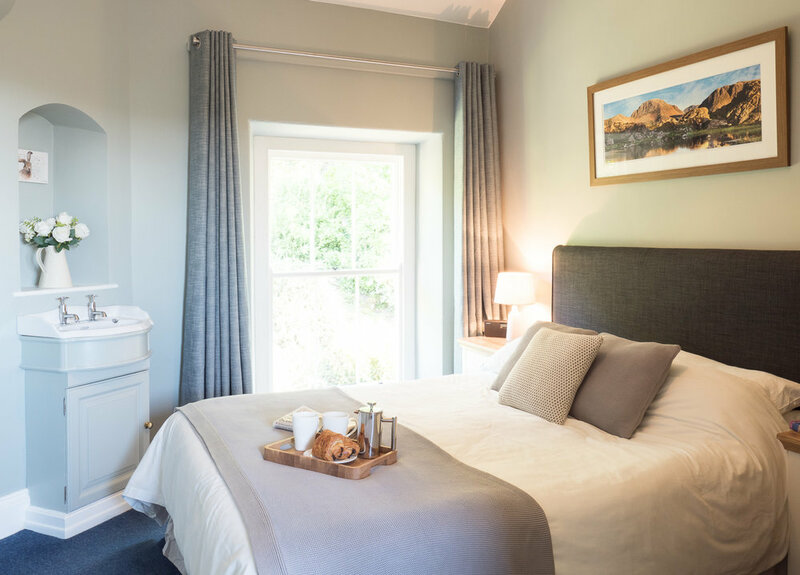 There are two generously sized bedrooms which both have views over the gardens at the rear of Sawrey Knotts and are equipped with black out curtains. They are also decorated with local photography. The Master Bedroom has a super-king sized bed (which can also be split into a twin if required) plus a blue ray player & flat screen tv. The second bedroom has a King Sized bed plus vanity basin. 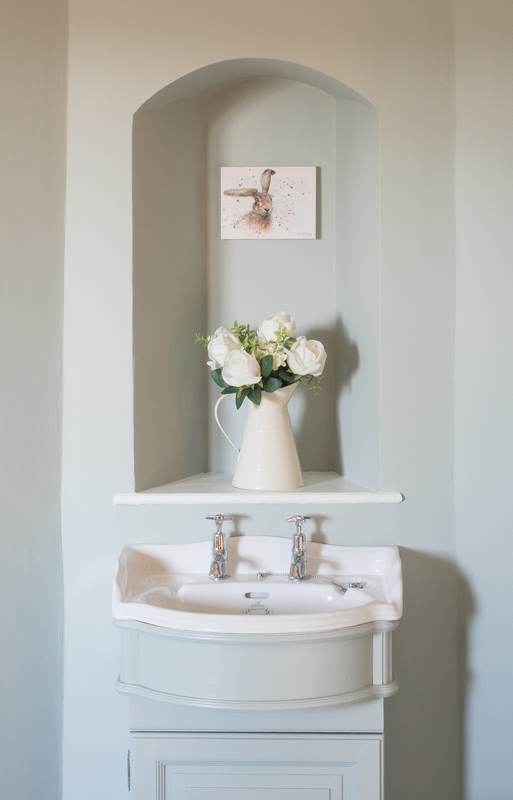 The fully redecorated bathroom (see below for colours used) makes for a very peaceful setting for a long soak in the bath. Alternatively, you can use the Hansgrohe attachment on the brand new thermostatic power shower for a somewhat more rapid cleansing. All paints used are by Farrow & Ball. Lounge is Shadow White with Drop Cloth accents. The Super-King / Twin Bedroom is Pavilion Grey and the King size bedroom is Light Blue. The Bathroom is Shadow White with Inchyra Blue Accents. The lounge has a 50" 4k Smart TV with internet, plus a large Blu Ray & DVD Collection. 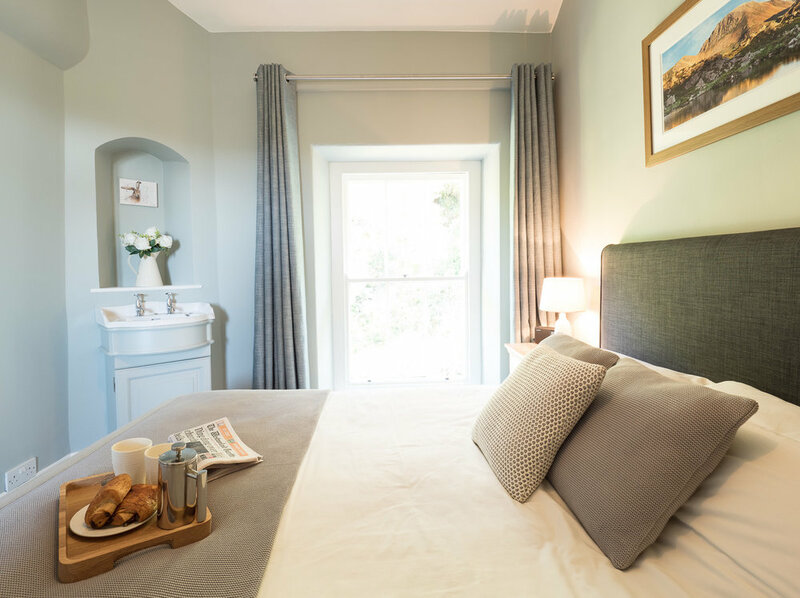 Top Garden Suite has it's own private entrance and full access to 3 acres of shared gardens, with numerous benches, nooks and crannies from which you can pause to contemplate. There is parking for 2 cars. From the lounge you can look over the rooftops to Lake Windermere. At night depending on where you stand you will see either no light at all, or the very distant light from Newby Bridge at the bottom of the lake. This photo was taken in Autumn 2016. Here in Summer you can see Lake Windermere in the distance from the Patio, from the Lounge and from the Kitchen. The lounge has a panoramic glass enclosure which on a fine day acts like a light box. A myriad of visiting birds can usually be seen. This view was taken from the Patio and looks South into the Valley. Winter in the Lake District is a wonderfully peaceful time. For those with an interest in Photography, it also has the benefit of making it easier to catch the sunrise! 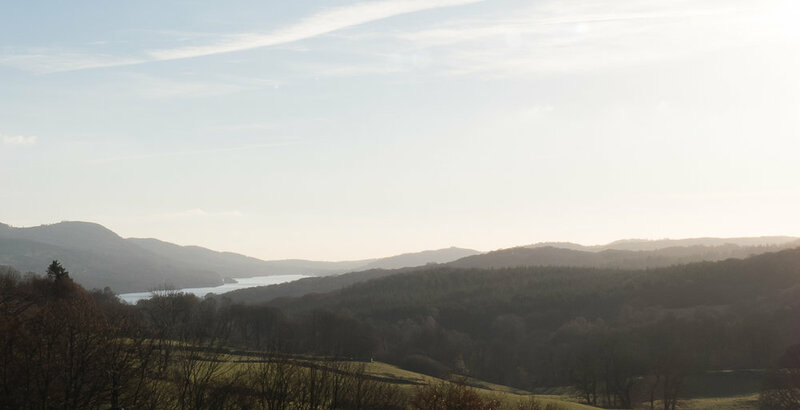 Autumn in the Lake District is a fantastic time for relaxation and soaking up beautiful landscapes. All of these photos are taken less than a 20 minute walk away from the front door of Top Garden Suite. For the 2018 season we've decided to upgrade the sofas, and they have completely transformed the room and made it even more comfortable. 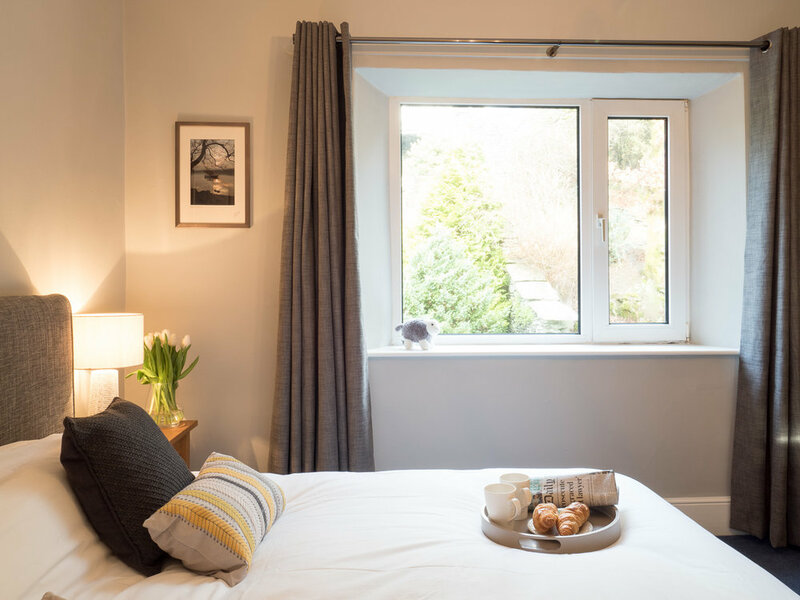 We are incredibly pleased to see the very positive comments being left by visitors to Top Garden Suite, and we would would to thank everyone who took the time to leave such great compliments. Available for booking year round. Please check Lakelovers web site for real time availability.